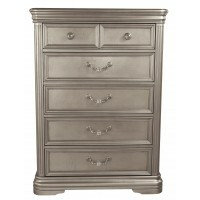 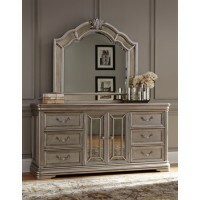 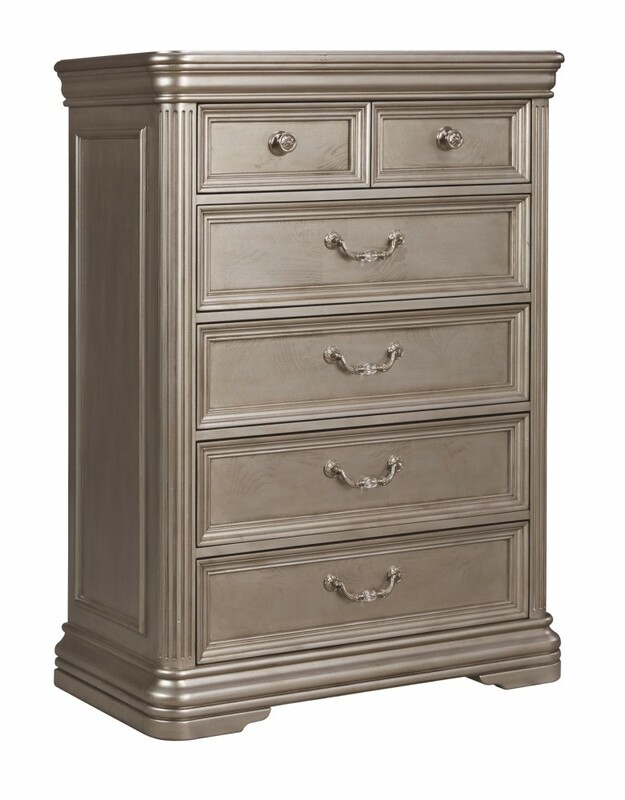 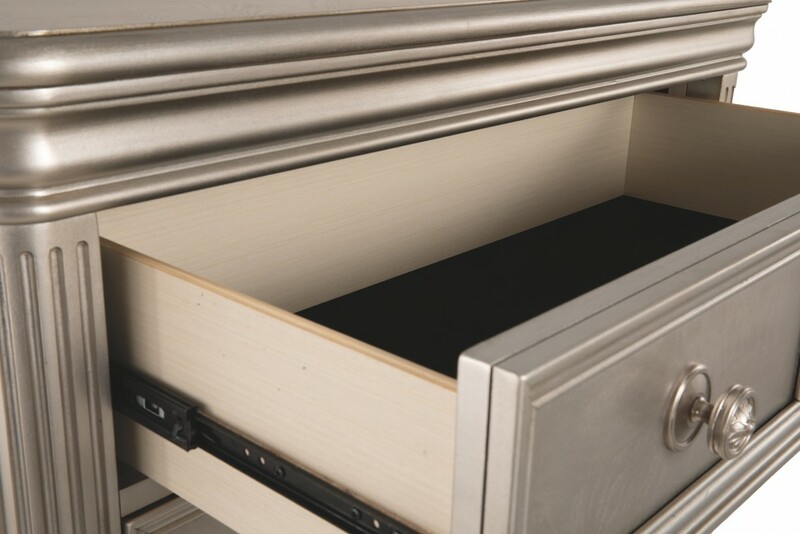 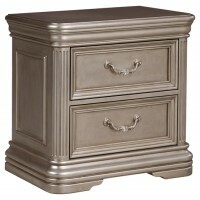 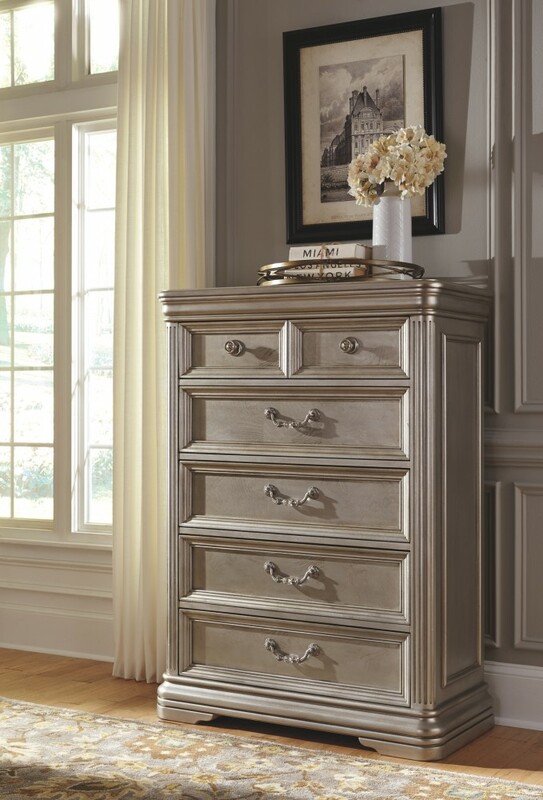 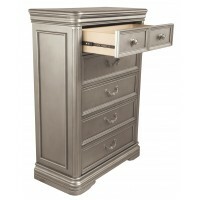 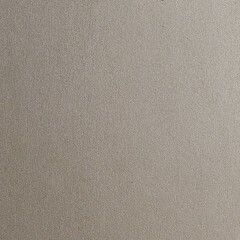 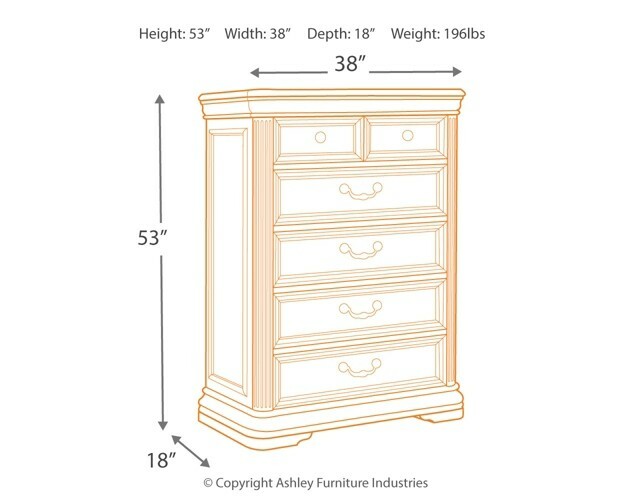 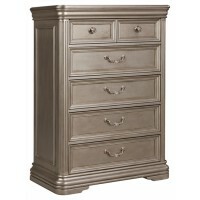 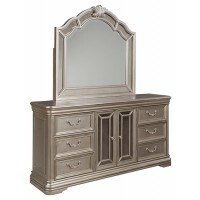 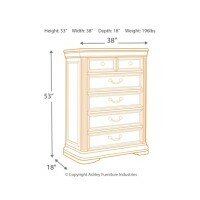 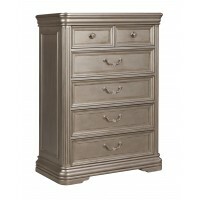 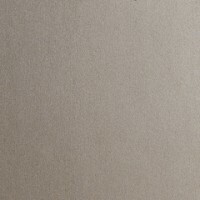 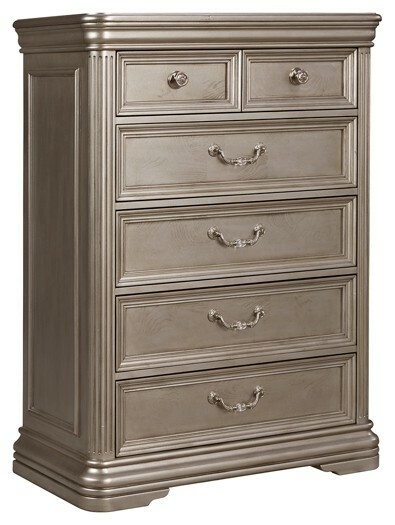 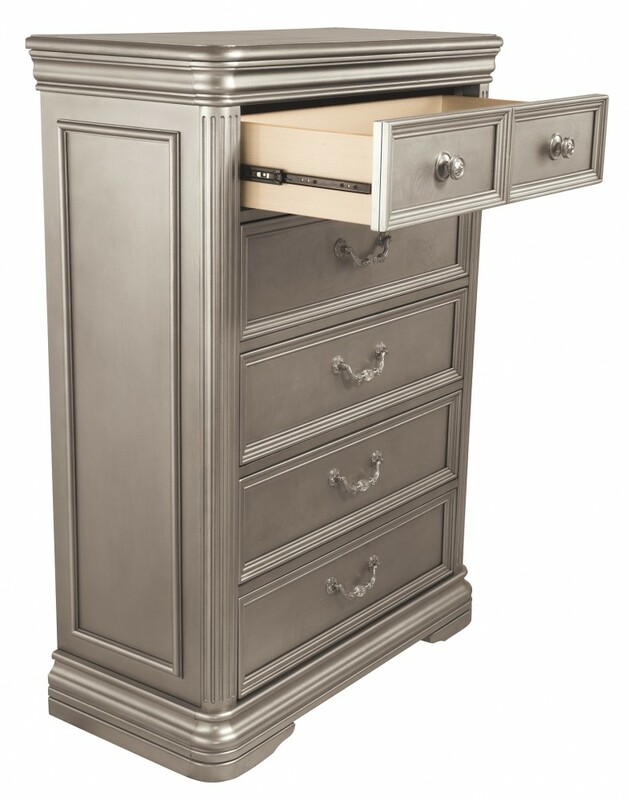 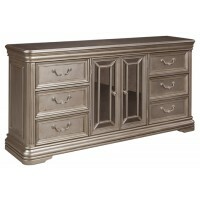 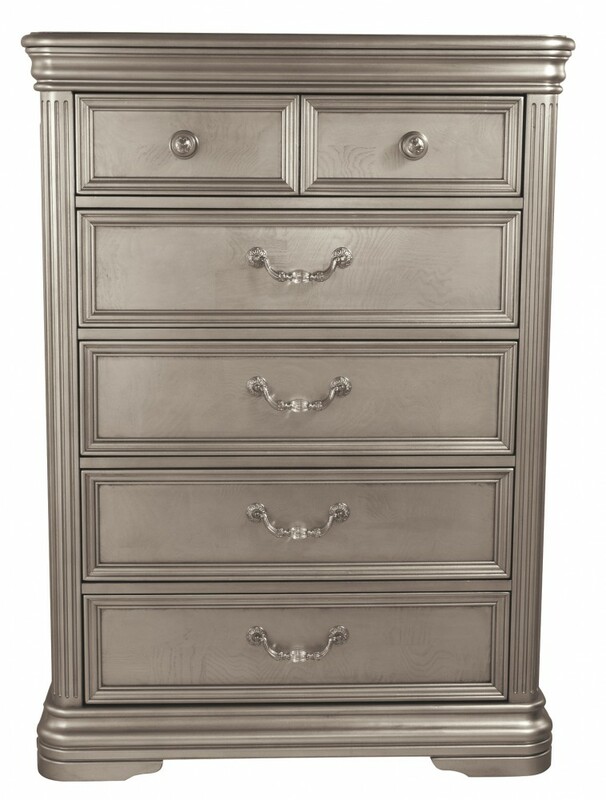 Grace the room with the opulence of this chest and make use of more drawer space, too. 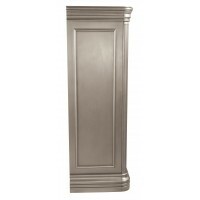 Carved mouldings, curving around the top and bottom, along with fluted pilasters and a traditional silvertone finish create elegance. 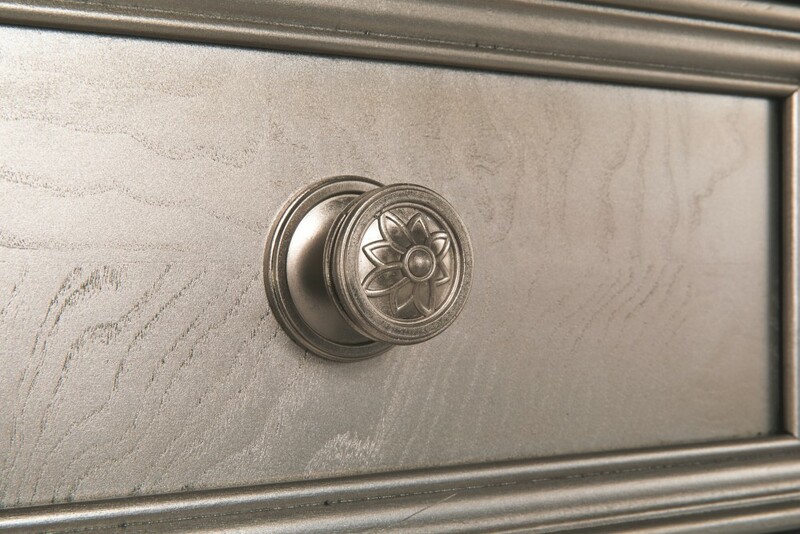 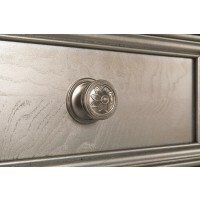 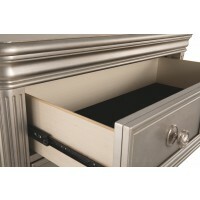 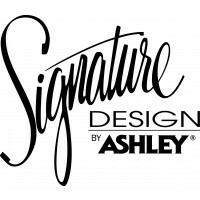 Drawers have ornate handles with sparkling faux inset crystals—quite a dazzling look for storing a wardrobe and more.